Lucapa expects its first commercial diamond recoveries from its second African mine in early November. The diamond miner (ASX:LOM) has kicked off commissioning of the 1.1-million-tonne-per annum project known as “Mothae” in Lesotho – a landlocked country surrounded by South Africa. Commissioning is the process undertaken to test the equipment and plant to verify it all works according to plan. Lucapa said commissioning has started despite the challenges of the winter snowfalls in the Maluti Mountains. 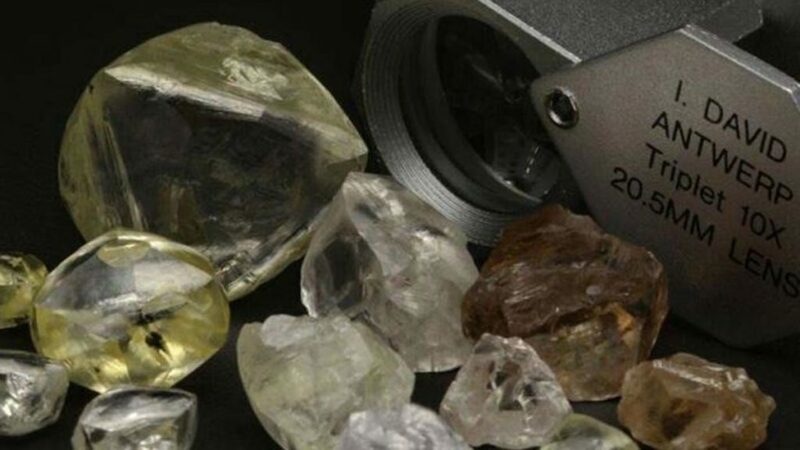 The company is already producing diamonds from its “Lulo” project in Angola, which is also in southern Africa. The Mothae mine is located within 5km of Gem Diamonds’ Letseng mine, which produces the world’s highest average US dollar per carat kimberlite diamond production. Kimberlite is a dark-coloured, heavy rock that contains diamonds and is sometimes found in valuable “pipes” in areas such as the Kimberley district of South Africa. Lucapa recovered about 23,400 carats during the trial mining phase, including “specials” of up to 254 carats and 96 individual stones weighing more than 10 carats. Some of these trial mining diamonds fetched prices of up to $US57,000 per carat. Pre-production bulk sampling, meanwhile, has delivered 4,100 carats, including specials of up to 89 carats. The first parcel of around 2,500 carats was exported to Antwerp in Belgium. Over $US16 billion ($22.5 billion) in polished diamonds pass through the four trading exchanges in Antwerp’s diamond district, also known as the Diamond Quarter, each year. Lucapa plans to export the remainder of Mothae’s bulk sampling diamonds to Antwerp ahead of the first scheduled sale in the final quarter of the year.